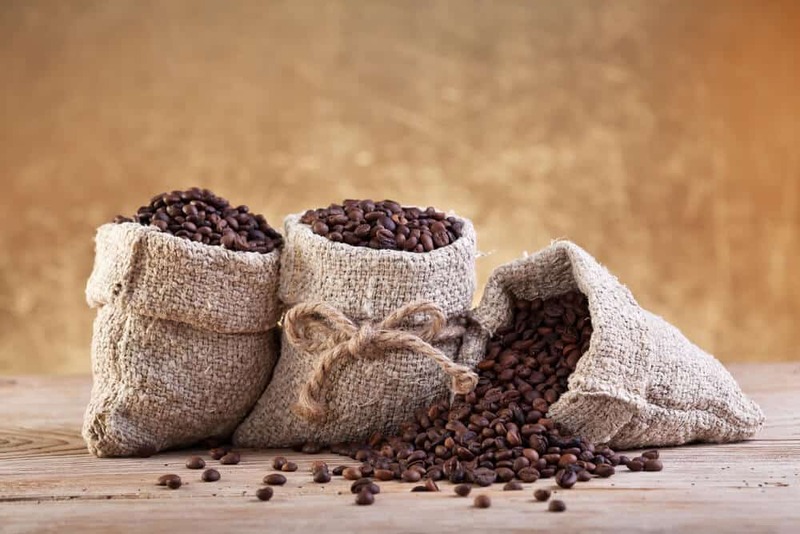 If you’ve clicked on an article titled “How to Store Coffee Beans" we can probably assume that coffee has some level of importance in your life. You love it. Or maybe it’s more than that; you need it. You can’t and wouldn’t imagine a world that doesn’t begin each day with a cup of dark coffee in your hands. I feel you. I’m the same way. But let me ask you this: If you love coffee so much, then why are you still storing it in the flimsy half-open bag that it came in from the grocery store? 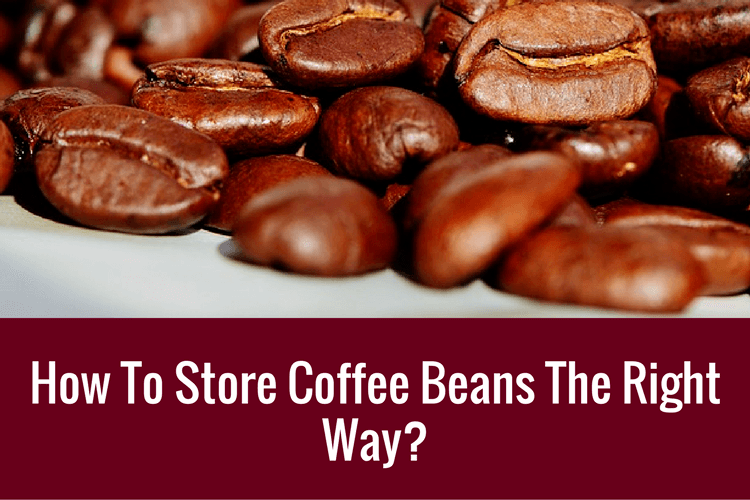 Why Do We Need To Store Coffee Beans? Why Does It Go Stale? How Long Do Coffee Beans/Pre-Grounds Usually Last? Can You Freeze Or Refrigerate Coffee Beans? You know how when you first open a new bag of great coffee beans and you get that amazing aromatic whiff of roasted goodness? That’s what you’re trying to preserve— that happy coffee smell of goodness, which equals flavor, which translates into that awesome cup of coffee which you love and depend on like an old friend. Because here’s the thing, coffee beans are fragile little creatures. After the beans are roasted, their shelf life decreases pretty rapidly; from up to a month if the bean is intact, to a few days, at most, if its ground. Here’s some quick coffee bean chemistry. For our purposes of understanding what makes coffee go from fresh and awesome to stale and dull, there are two chemical reactions that we care about. Oxidation and loss of carbon dioxide. Oxidation happens to basically everything over time; it’s the same reaction that turns apples brown, rusts metals, and decays most organic matter. Once the beans are picked, dried, and roasted, oxygen molecules start stripping away electrons to make it less stable. At the same time, the bean is slowly releasing carbon dioxide that built up during the roasting process which helps to decrease the effects of oxidation. This is all fine and good until you chop the bean up into little pieces, which you will when you grind it. Grinding will hit your coffee bean with a knockout punch of both chemical reactions. Oxidation speeds up due to the increased surface area reacting with oxygen and the protecting carbon dioxide is released almost instantly. What all this chemistry means to you and me is that after roasting and especially after grinding, coffee go stale... quickly. You’ve got to keep those beans fresh! The bag that you brought the coffee home in, the thinly lined bag with the little fold over flaps isn’t doing you any favors. Unless your coffee came packaged in one of those nifty foil lined bags with a one-way valve that limits the decaying reactions, then you need to store your coffee in something worthy of an old friend. And also, whether you’re paying premium imported Kopi Luwak prices or moderate columbia roast prices your local grocery store, I’m betting you don’t like to waste money. If you store your coffee beans in optimal conditions, you can extend the shelf life for longer and get the most out your coffee beans and your money. There’s a wide range of opinion on coffee shelf life. Your grandpa might think that pre-grounds stored in the freezer will last for years, and your local barista might tell you not to bother with anything ground longer than two hours ago. Most coffee experts will defer to the roaster’s recommendations, which can vary depending on a multitude of factors. That being said, both whole beans and pre-grounds can be stored for some time under optimal conditions. Whole beans: Ideally use within 2 to 4 weeks, but if stored under proper conditions, can last from 1 to 3 months. Grounds: Ideally use within 2 hours of grinding, but if stored under proper conditions, can last from 2 to 4 weeks. One reason there are such varying opinions about how long coffee lasts is that coffee doesn’t really go “bad” like other organic material. It doesn’t rot, sour, or emit a funny smell. It just gets stale, and even then, it probably won’t make you sick. Gail Williams, owner of Seattle Coffee Gear, answers the When does coffee go bad? question this way: Coffee is good until it stops tasting good. So what does “not good” coffee taste like? Use your nose. Since smell and taste use the same olfactory receptors in your brain, they are interconnected. Open up a bag and take in a good whiff; your nose will tell you right away if those coffee beans are prime or not. The more amazing the coffee smells, the better it will taste. Fresh coffee beans are one of the most aromatic fruits on the planet, made up of over 800 different organic compounds that develop during the roasting process, and then again when it’s brewed with hot water. The resulting signature scent should be rich, sweet, and complex. But that doesn’t really cover it— The smell should be downright amazing. The smell of stale coffee will be, well, less amazing. It will be dulled, flat, or barely perceptible. The taste will be likewise underwhelming; less sweet, less acidic, more blah. Stale coffee means the aromatic oils have broken down and dissipated due to prolonged exposure to oxygen, moisture, heat, or light. The same compounds that made the coffee smell so great to begin with unfortunately start to deteriorate almost immediately. That’s why a cup of coffee that’s been sitting on the counter all day won’t taste very good, not just because it’s cold, but because the volatile compounds have evaporated taking everything good and complex with it and leaving behind a sorry cup of coffee in its place. The “roast date” that is printed on your bag of coffee means that was the day that the coffee beans were roasted. Sounds simple enough, but it gets confusing. The roast date does NOT mean “consume as close to this date as possible.” Common sense might tell us that like freshly baked bread, coffee must taste best immediately after its been roasted, right? Not so fast. Coffee is more similar to a grilled steak than it it is to baked goods, meaning that after the beans have been subjected to a rather brutal roasting process where they build up carbon dioxide gases, they need to “de-gas,” a period which can extend up to 7 days. Beans that are not rested will result in under extracted, salty coffee that will bubble in your cup. Therefore, “fresh,” at least when it comes to coffee beans, is a bit of a misnomer. What we really want is “best,” and “best” like everything else about coffee, varies. Each batch of roasted coffee has an optimal window for drinking which many factors determine, and the resting time is just one of them. 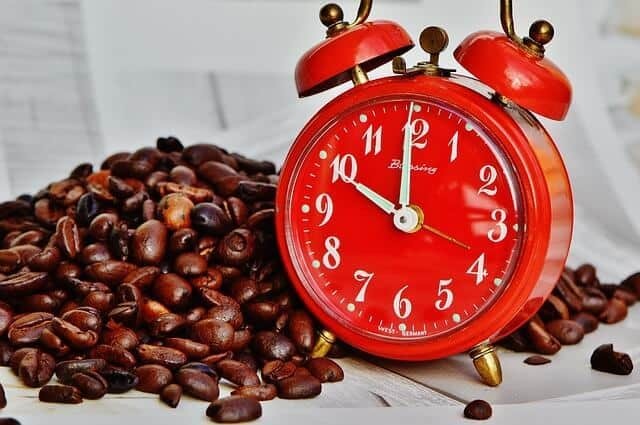 Coffee experts think that somewhere between 7 and 21 days past the roasting date is the right time for drinking. Coffee is tricky. You don’t want to drink it too soon or too late. The best way to protect yourself against this fickle window is to buy in small batches; buy no more coffee than you can drink in one week. I know it’s tempting to buy in bulk, but you’ll be better served to have smaller batches that taste great rather than larger batches will go stale later. So why is coffee so hard to get right? It turns out coffee has many natural enemies before it even makes it to your coffee machine. Read on to learn how to identify and destroy these coffee buzzkills. Oxygen. It’s great for us but not so much for our coffee beans and especially coffee grounds. Oxidation will strip elements away from the coffee molecules to make the them less stable, which means less aromatic, less robust, less acidic, less tasty, less awesome. Air makes coffee stale. There’s no getting around it. From the second you tap into your new bag of coffee beans and grind them up it’s a race against time before they go dull. While you can never completely eliminate the coffee-to-air contact, you can do your best to minimize the time it spends in its company. Only open your sealed coffee bag until you’re ready to use it, and then store it in an airtight container. Opt for a smaller, 16-ounce size capacity container rather than a larger one so you’ll only be exposing one pound worth of beans at a time. If you must buy in bulk, buy multiple one-pound or less vacuum sealed bags and store the extra bags in a cool, dark pantry or cupboard. There are several different styles of coffee storage containers, and you can buy as extravagant and expensive as you want, but any air-tight opaque canister will do and will help to prolong the life of your coffee beans for 1 or 2 weeks. You’ll want to be extra vigilant with pre-grounds and might want to add a step of keeping the grounds in a ziplock bag with as much air squeezed out as possible, and then keep it in an airtight container. You might be able to stretch their shelf life out to as much as a week this way, but 2 or 3 days is more likely depending on how much you open and close the lid or break the seal to the bag. If you can remember 3rd grade science class, water is readily available on earth in three forms: liquid, solid, and gas. All three forms are detrimental to your coffee beans. One reason for this is because water, H2O, has a molecular composition of 2 parts hydrogen to 1 part oxygen. Oxygen! As in the same stuff in the air that we’ve been trying to keep away from our fragile coffee beans all along! Another reason water is bad, particularly in a warm humid climate or work environment, moisture can make your stored coffee susceptible to mold and clumping. Some people try to offset the moisture problem by storing coffee in the refrigerator, but it’s probably not a good idea. You know how when you pull a soda out of the fridge and in a few minutes little drops of condensation have formed on the sides of the can? That’s what happens to your coffee too. Air-tight canisters to the rescue! Not only will these brilliant little contraptions lock the air out, but they will also keep the dreaded moisture away. If you like to keep pre-ground coffee and you’re in a very humid climate, and you don’t have access to an air conditioner, you’re going to have some extra challenges to keep your coffee dry and from going stale. You could consider keeping silica desiccants in with your grounds, but make sure you don’t brew them with your coffee. But better yet, don’t keep grounds at all and only use whole beans and grind them up when you’re ready to use them. Most chemical reactions speed up when heat is applied. This is why organic matter decays faster in hot weather. If you store your beans on a warm window sill or next to the oven or some other heat source, your coffee will suffer a quick decline into the stale zone. The only time you want to apply heat to your coffee is when you plan on drinking it. 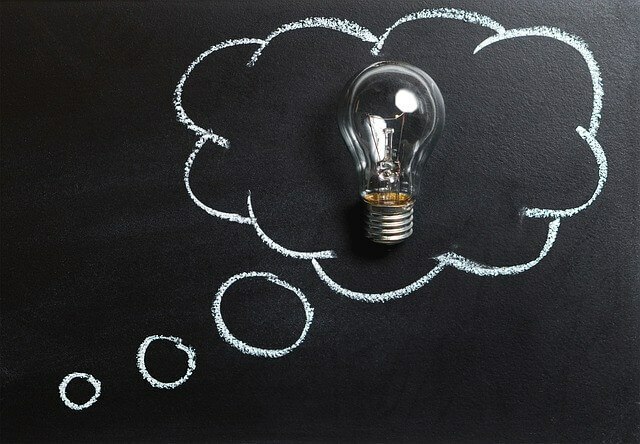 It’s probably logical to think that if storing beans in a hot location is bad, then a cold location like the refrigerator or freezer would be good, right? Not really. While the fridge is definitely cool, it also has a host of other problems for coffee, moisture being just one them, that it really detracts from any benefits it might have from its cool temperature. Store your coffee beans away from anything that heats up like a microwave, dishwasher, dryer, oven, or sunny window. A low shelf in your pantry or cupboard will work fine. Don’t get too wrapped up in finding the perfect temperature for storing your coffee. If room temperature is good enough for the NCA then it’s good enough for you. Sunlight is a beautiful thing, and without it few plants would grow into the oxygen generators and nutrient rich food that we depend on to survive. Coffee plants are no exception and thrive on farms in some of the sunniest, most gorgeous places on earth. But what the sun giveth, the sun can also taketh away, and it turns out sunlight can be pretty nasty to coffee beans, so do them a favor and store them in the dark. Photodegradation is the chemical reaction that happens when ultraviolet rays from sunlight break down the chemical bonds of an object. You have probably seen this reaction happen to photos, plastics, paintings, and even hair follicles that have spent too much time in the sun. Your coffee beans are not immune to this sunlight reaction. The UV rays can break down and destroy everything that’s good in your coffee: its rich dark brown color, its fats and oils, its chemical composition, and its flavor. Coffee beans are certainly beautiful and it’s tempting to keep them in a pretty glass container on your countertop but resist the urge. Storing them in clear glass or plastic containers or bins that are open to air will not protect them from sunlight damage. Cover them up by storing them in an opaque non-reactive container, in a dark place like a closed pantry or cupboard. Air, moisture, heat, and sunlight are all detrimental to coffee preservation, but don’t get yourself too flustered trying to keep these enemies at bay. By storing your coffee beans in the correct container, in a cool, dark place like your pantry, and by grinding them just before you use them, you are already way ahead of the game. If you go on just about any coffee forum, you’ll find a section and probably several subsections on best coffee storage practices. Undoubtedly, someone will chime in with a lengthy coffee-in-the-freezer manifesto claiming this is the way they have always stored them with great results. Then, just as predictably, someone will dispute these claims with all the reasons you should never freeze, refrigerate, or otherwise chill coffee beans, and the two camps will argue for pages upon pages never to convince the other of the error of their ways. So what’s the deal? Freeze them or not? And what about coffee grounds? These are the questions. Let’s tackle them, for and against style. While most coffee experts will likely tell you not to store your coffee in the freezer, if pressed, they may relent and tell you it’s okay under certain circumstances. After all, the whole reason modern civilization uses electric refrigeration methods is because cold temperatures preserve food. Cold inhibits bacteria and mold and delays decomposition, and isn’t that what we want for our coffee beans too? Why not give them the same deep freeze treatment? One circumstance in which even the NCA recommends freezing coffee beans is if you have bought or been gifted coffee beans in bulk and you won’t be using them within a month. Coffee grounds fare pretty well in the freezer, especially if they are frozen directly after they are ground. If you are someone who enjoys the convenience of pre-grounds then by all means, freeze away, just take some precautions and be sure to use the coffee grounds within a month. Take these steps to make sure your freezing process doesn’t turn into a disaster process. Make sure coffee is stored in an air-tight container. Not only will it limit the air moving around your beans, it will protect them against any funky odors lurking in the freezer. Place the unopened bags of coffee into ziplock plastic bags and squeeze out all the air before sealing. Freeze in small portions, and only take out what you plan on brewing within the next few days. Don’t refreeze any beans or coffee grounds. Don’t store your daily beans or grounds in the freezer or fridge. Cold storage only works for long term storage purposes. Thaw beans at room temperature before brewing. Don’t grind frozen beans. Portion coffee grounds into individual servings sizes in a ziplock bag, and then store in an air-tight container in the freezer. The problem with storing your daily coffee in the freezer or refrigerator is temperature fluctuations when moving them from a cold environment to a warm one, and then back to cold again. Condensation can form which introduces moisture to the beans which can damage them and make them susceptible to mold. Not to mention there is a tiny bit of water and oil contained in the bean itself that is being misaligned with and then the whole magic of the fragile coffee bean in jeopardy. And unless your beans are stored in an excellent air-tight container they can pick up odors and flavors from the surrounding food in the freezer. There doesn’t seem to be a good reason to keep your daily coffee supply in the freezer or fridge. There’s too many things that can go wrong and you’d be better served by storing your coffee in an airtight container at room temperature. However, if you suddenly find yourself with a large supply of coffee beans or grounds, go ahead and freeze them with care for long storage only purposes. Okay, I got stale beans. What a waste of money, you would think. Hold your horses. If there is anything we’ve learned about coffee beans it is that they are fragile little creatures that need a lot of tender loving care to get the very best they have to offer. We try our best, but sometimes storage goes wrong and beans go stale. It isn’t the end of the world, it’s a lesson learned. But don’t throw them away! In the interest of recycling and repurposing here are 5 things you can do with your stale beans besides throwing them away. Spent coffee grounds are especially good for compost as they acid neutral, nitrogen rich, and already loamy. But if you have stale beans or stale unused coffee grounds they are biodegradable and can be tossed in too. While it’s true that unprocessed coffee can be pretty acidic, if you have a large enough compost pile going a small amount of stale beans won’t hurt anything, and some plants like such as hydrangeas, rhododendrons, azaleas, roses, and blueberries thrive in acidic soil. Coffee grounds are a natural repellent for slugs, ants, aphids, deer, and rabbits that you don’t want around your garden or house. Spread them around the soil of plants you want to protect or make a coffee solution with water and spray it on the leaves of vulnerable plants. If you find a hole or crack where ants are coming into your house, stuff it with ground coffee beans which are supposedly toxic to ants. Coffee beans have always been pretty, now you can actually show them off without worrying about damaging them. Check out Pinterest or craft websites to discover literally hundreds of different craft projects you can do with stale coffee beans. You can make anything from scented body scrubs to decorated candles to picture frames. Old coffee can even be used to make stains and paints for woods and cements. Check out this video on how to make three different shades of coffee solution for painting. Unused coffee beans and grounds have an amazing ability to absorb odors. If there is a particularly smelly place around your house that you’d like to be less smelly, try filling an open container with coffee beans and let it sit there for a few hours. This also works with your skin. If you’ve been chopping or handling garlic or onions or anything else unpleasant and you can’t get the lingering smell off your hands, try scrubbing your hands with coffee grounds to remove the scent. Some kitchenware should not be cleaned with soap such as cast iron or earthenware pots. Ground stale coffee beans work like a natural scouring powder and can scrub away burned and stuck on bits of food without harming the pan’s seasoned finish. Don’t stop there, clean your kitchen sink, stove top, or anywhere else than can use the benefit of a mild abrasive scrub. You love coffee. You love it so much that you just read through an entire article describing all the ways that you can do right by that precious little caffeinated coffee bean. Get yourself and your coffee a sturdy and opaque air-tight storage container and discover the difference between properly stored coffee and stale coffee. Once you’ve tasted the difference you’ll never be caught with one of those flimsy paper bags in your cupboard again.